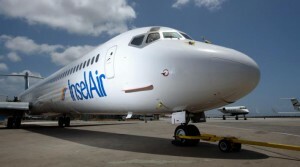 WILLEMSTAD - The local airline InselAir cannot dismiss its MD80 pilots. The judge decided ruled in favor of the pilots. It involves a total of eleven pilots. Because InselAir is no longer flying with the aircraft, the pilots should be trained for the Fokker aircraft, according to the trade union. Whether that will happen is not clear.